Like Texas, Oklahoma has its fair share of gardening challenges, if not worse, believe it or not! They get just as hot, humid and dry as us yet experience much colder winters along with other extremes. In seeking interesting, adaptable plants for Tulsa Botanic Garden, Todd Lasseigne has looked to Texas natives as well as other plants from harsh regions of the world to further push the limits on. The many surprising successes among the inevitable failures that Todd will feature will provide a great frame of reference to apply to our gardens here, and make you appreciate that things could be a lot worse! is a highly respected and well-known plantsman, educator and lecturer, horticultural scientist, garden writer and plant photographer, and leader in the field of public horticulture. He has traveled extensively throughout the U.S., Western Europe, and Japan in search of new landscape plants and has participated on plant expeditions in China and the nation of Georgia. He has also visited numerous public and private gardens, nurseries, and plant collections throughout the U.S., U.K., Japan, Mexico and elsewhere. 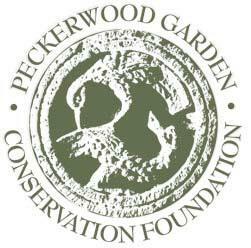 In total, Dr. Lasseigne has visited more than 350 gardens worldwide, and is no stranger to Peckerwood Garden.